Within 40 years not one Arawak had survived the invasion. Historians now believe there were at least 10 million native inhabitants living north of the Rio Grande (present-day Continental United States, Alaska, and Canada) at the time of Columbus’ arrival. By 1900 their population was reduced by at least 97% to 250,000, while the EuroAmerican population zoomed from zero to 80 million. 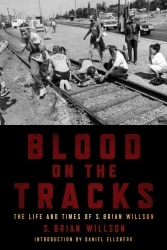 The “final solution” genocidal policies carried out against native inhabitants was so impressive that it inspired a 20th century “final solution” genocide. Adolf Hitler attributed his “solution” of the Jewish “problem” with the use of concentration camps and genocide to his studies of United States history, praising the “efficiency of America’s extermination–by starvation and uneven combat–of the red savages who could not be tamed by captivity.” See John Toland, Adolf Hitler (Doubleday, 1976), Vol. II, p. 802. Native Americans have told us over and over again that the “white man” speaks with “forked tongue.” Their knowledge of EuroAmerican veracity comes from being sad victims of every one of the 400-plus treaties and agreements signed with them, then violated by the U.S. government. The natives were forced to virtually eliminate their own culture, land and language (deraced) if they desired to survive (without dignity). This past is present in our character and it taints every aspect of our so-called Columbus Enterprise of modern economics and technology. We are blinded by this deep racism, and a deep, genuine, life-altering apology with reparations is needed if we are to be healed. It wasn’t enough to strip the ancient natives of their lands, language, culture and life, since their presence was smack in the way of the intentions for limitless development of the “New World” and its “Manifest Destiny.” The Europeans invaded yet another continent, Africa, and by 1800, ten to twenty million natives from ancient cultures had been kidnapped and transported to be sold in the Americas as slaves, representing perhaps but one-third of those originally seized. The remainder died resisting capture or while exposed to the brutal conditions of cramped and filthy transportation to the Americas. Half the native African population had been decimated by the slave trade. Holocausts one and two, therefore, enabled creation and development of the U.S. civilization, free of charge. The majority of residents and citizens of the United States and most other “industrialized” countries have relinquished much of their spiritual, intellectual, emotional health and integrity in order to receive the “benefits” of protected materialism in our nation states. Virtually all the pain and suffering have been consciously outsourced out of our view or feeling “field.” But what has become of our essence as creative beings in relationship with other people and nature? What has become of our souls? Along with the conquest of human beings, of course, this arrogant attitude has launched an intense and continuing conquest of nature. New scientific studies of ancient and present-day ecosystems have found that since European settlement, the Americas have undergone a radical and continuing transformation unlike anything seen in thousands of years, that rates of ecological change are unprecedented in their severity for the last 5,000 years. Anglo-European settlement has already caused vegetational changes more rapid than any seen in the fossil record. Since 1789, the United States has acquired by force and/or deceit 9 territorial additions, 15 islands, and the Panama Canal Zone, only recently returned to Panama, increasing its control of land areas by more than 4 times from the area of the original 13 states taken by force and lies from the ancient native inhabitants. Between 1789 and today, the U.S. has intervened with its armed forces into the sovereignty of over 100 countries on more than 560 documented occasions, utilizing various rationalizations such as the “Monroe Doctrine,” stopping “Communism,” resisting “terrorism,” protecting “democracy,” arresting “drug traffickers,” combating “naked aggression,” stopping “rogue nations,” and asserting “Manifest Destiny.” All but five of these 560-plus interventions have been in violation of the U.S. Constitution that mandates a Congressional declaration of war for each use of armed forces abroad. Holocaust number three, enabled free expansion of the insatiable, limitless U.S. consumption model. The U.S. has threatened the use of nuclear weapons on more than 20 occasions. We know that the dropping of the Atomic bombs on Japan was rationalized by the U.S. as an alternative to a land invasion of Japan, which was going to cost more “American” lives, but it is now believed to have been primarily a show of force to scare the Soviet Union. Released secret documents reveal that the U.S. had broken the Japanese codes and knew of their imminent surrender at least three months before the August 1945 dropping of the A-bombs. Hundreds of thousands of Japanese became early expendable pawns in the emerging “Cold War” between the Soviet Union and the United States. More insidiously, the U.S. has engineered at least 6,000, perhaps 10,000, major and minor covert actions throughout the world, every one of them illegal–destabilizing, overthrowing, assassinating, etc. Former CIA agent Ralph McGehee in My 25 Years in the CIA (Sheridan Square Publications, 1983) describes the CIA not as an intelligence agency but the covert action arm of the President with the task of “destruction” of “every egalitarian political movement” in the world. “Egalitarianism is the enemy,” McGehee sadly reports, a threat to the unfettered, limitless demands and desires of the U.S. empire around the world and the American Way Of Life (AWOL). And since World War II, the U.S. has bombed at least 28 countries. The three-fourths of the world’s “undeveloped” population is being squeezed by being forced to limit itself (over 5 billion human beings) with but 15% of the world’s resources. Our insatiable consumption appetites in the West (or North, or developed, or industrialized nations), enforced by various political, economic, military and covert forces, demands implementation of a variety of exploitative policies and public rationalizations and outright lies covering over these sordid policies. Such policies, of course, are carried out at the expense of the well-being and health of the majority of human beings and all other species on the planet. Forty thousand children die every day in the world, not because there is no food, but because they are not in a position to have access to the food stocks or clean water. Contrasted with this tragedy is the fact that millions of people in the U.S. spend $5 billion each year on special diets to reduce their calorie consumption. The average U.S. family affects the environment 40 times more than a family in India, 100 times more than a family in Kenya. Annually, the U.S. consumes 45 barrels of oil per person, compared to Hungary with 18, Brazil 3, India 1, or Kenya one-half barrel per person. The rich nations with one-fourth the world’s population consume per capita 15 times the amount of oil used by people residing in the majority poor nations. In sum, AWOL, and the western/northern way of life in general, i.e., the Columbus Enterprise, continues as a dangerous threat to all life on the planet. This is not a time to continue to celebrate a day for Columbus. Please, let us call it Indigenous People’s Day. Let us now mindfully breathe, reflect, remember, renew, revolt, reconcile, repair and prepare ourselves for a life process of experimental, experiential and radical liberation and transformation. The “New World Order,” economic neo-colonialism, and all its economic components such as the WTO, MAI, NAFTA, GATT (General Agreement on Trade and Tariffs), the World Bank, the International Monetary Fund and their requirements for structural adjustments in the Third World toward a “free market” capitalist economy, etc., are not the solution. The global “supermarket” capitalist economy simply will speed up our ecological, spiritual, psychological, emotional, intellectual, physical, social, political, even genetic demise and extinction. The external “debt” that much of the “Third World” allegedly owes the rich northern countries is being used to hold the poor nations hostage to the rich. Structural adjustments necessary to acquire credit from the northern financial institutions are rapidly increasing the disparity between the haves and the have-nots and dramatically provoking the incidence of starvation around the world. Such economic policies could be called war by another name since it is contributing to so much death and disease, even without the use of military forces, though the latter have been available for stubborn holdouts like Yugoslavia, Libya, Iraq, Syria, and Iran. Life is rapidly being defined strictly in the sterility of market and commodity terms. Spirit, soul, intuition, imagination, deliberative thoughtfulness, reduced consumption, slower paces, building real community, dynamic sharing–the essence of being human–is scrambling hard to survive. We are profoundly, and often irreversibly, assaulting the basic human and ecosystem harmony upon which we absolutely depend for our survival and dignity. A radical new way (or old way) is beckoning us. Let us allow our imagination and vision, some courage and risk-taking, in the context of understanding the sacred interconnectedness of all life, now lead our thinking, feelings, and actions as we share them with one another. Let us seek right livelihood and mutual aid. This entry was written by brian, posted on at 10:58 am, filed under The Most Dangerous of Rogue Nations: The United States, Challenging Traditional Patriotism. Bookmark the permalink. Follow any comments here with the RSS feed for this post. Post a comment or leave a trackback: Trackback URL.